We started the day off with French Toast. YUM! Then we all got ready to go out. We walked to the bank and then caught a taxi ride to the Honeycomb restaurant. By the time we got done eating, it was snowing outside. It’s kinda hard to find a taxi outside of Honeycomb. Especially when it’s snowing. 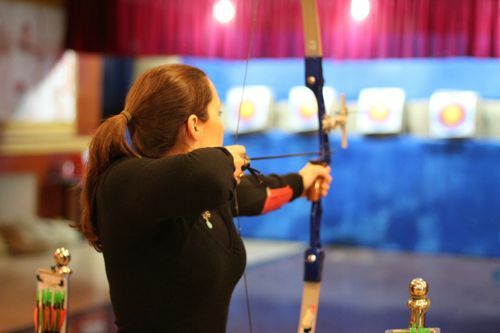 So we ended up walking to the subway and after a few stops and 20 minutes of walking, we finally got to the archery place. 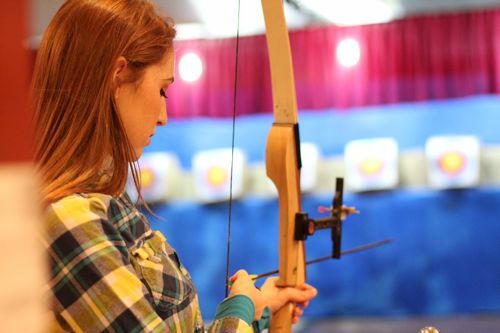 At first using the bow and arrow was pretty tough, considering this was the first time for me. But after a few tries I think CCD and I finally got the hang of it. I scored a 71 on one set. (That’s pretty good for me). We’ll definitely go back. I’d say we had a pretty productive day. 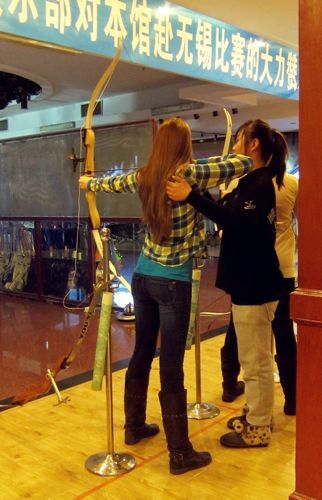 CFER here: If you’d like to try out archery in Shenyang, we like to go to Victory Archery Club. Just South of the RT Mart on Nanjing Nan Street. 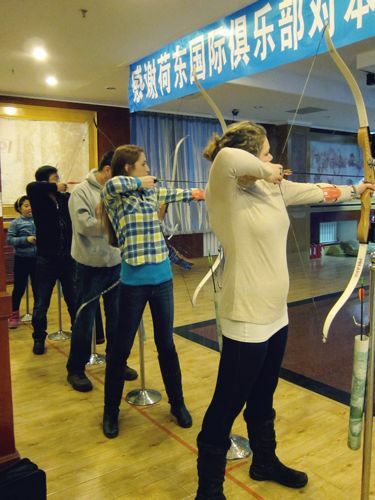 It costs 60 yuan for 3 sets of 12 arrows. This entry was posted in The Teenage Invasion by fashionista. Bookmark the permalink. 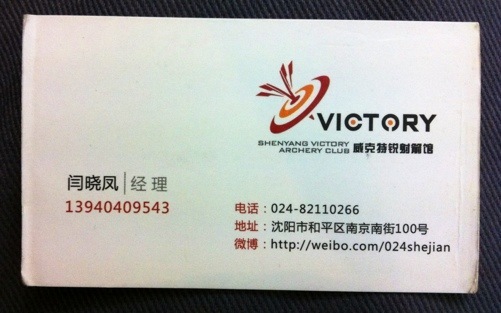 Hi, my name is Yiya. 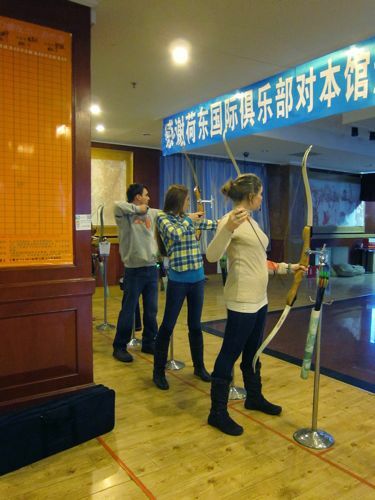 It’s so interesting to read your articles about exploring my hometown, it seems you had a great time in China! I am in the U.S now and your posts just make me miss home. 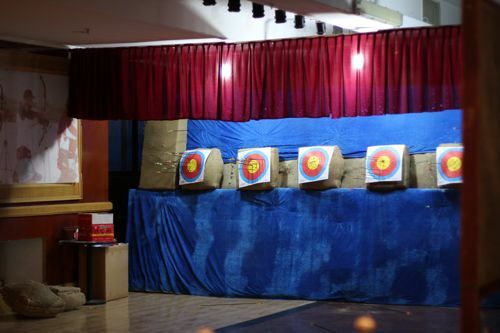 I think I’ve been to this archery club before, it was so much fun when I did it the first time. Hello Guys! If you are looking for an apartment, you might want to check out http://www.PlaceMatch.sg. Posting an ad is Free and I found it to be useful in finding my place.